Students at St Edward’s Senior & Sixth Form have enjoyed a series of experiments and demonstrations at break and lunchtimes this week – all in celebration of STEM. Mr Richardson gathered pupils at lunchtime on Tuesday to share his knowledge of beekeeping, a passion that he has enjoyed for many years. He explained all about the behaviours, habitats and efficiency that bees must maintain to survive throughout colder months. Wearing his full beekeeping overalls, and accompanied by his bee smoker, Mr Richardson talked about the use of smoke in keeping bees docile. He interestingly explained that when it is used, bees believe their habitat is under threat by fire, so fill themselves up with honey from their hive and are therefore less likely to sting and risk their lives. On Wednesday lunchtime Mrs Hammond caused a great deal of excitement with some fun and interesting science demonstrations in one of the School Science Labs. Starting off relatively small, the pupils were shown a “seesaw candle” where the weight loss of melting wax caused the candle to swing backwards and forwards, hanging over two beakers. Following that the most eagerly anticipated experiments took place – complete with fire and explosions! After exploding a nitrogen balloon and creating an air-powered flamethrower, Mrs Hammond created a “flame tornado” using a perforated cylinder and demonstrated the effect of heat on a jelly baby in a test tube, with some colourful and fiery results. Finally, sugar was dehydrated using concentrated sulphuric acid, with an exothermic reaction turning it from its typical white granules to a black lump of sugar charcoal. There were also fireworks with some metal shavings and a Bunsen Burner. 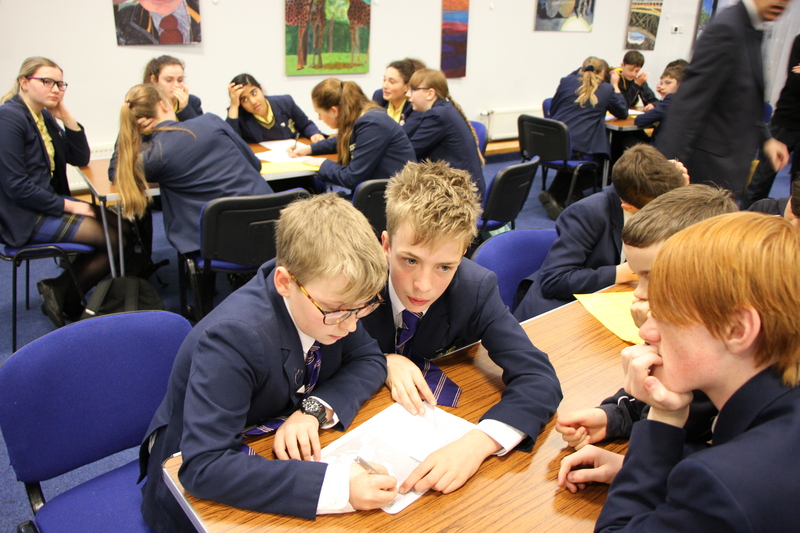 The annual STEM Quiz took place on Thursday afternoon, with pupils from each of our three Houses competing for coveted House Points going into the Summer Term. A Mathematics challenge saw the quizzers attempt a “Countdown” style task, using mental arithmetic to solve questions which gradually increased in difficulty. 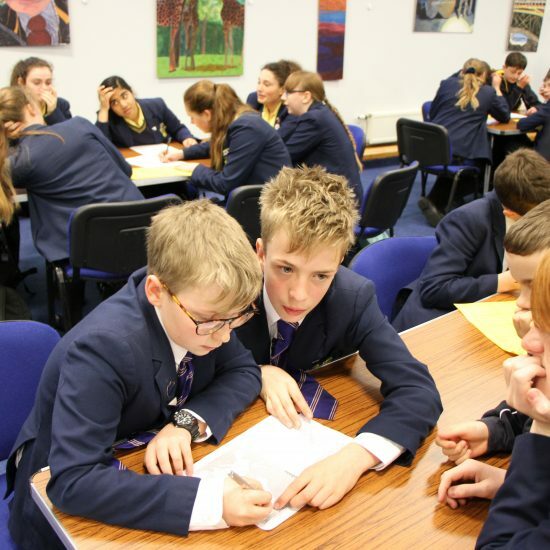 They were also tasked with identifying objects that lie around the Science laboratories, components from their KS3 Technology creations, and matching famous scientists and mathematicians with their country of birth. More House came out on top to seal victory, taking both the top and second spot in the team competition. There was a friendly, yet competitive atmosphere to the quiz, with Easter-themed prizes for our successful competitors.